The history of an industry is shaped by the businesses that innovate. 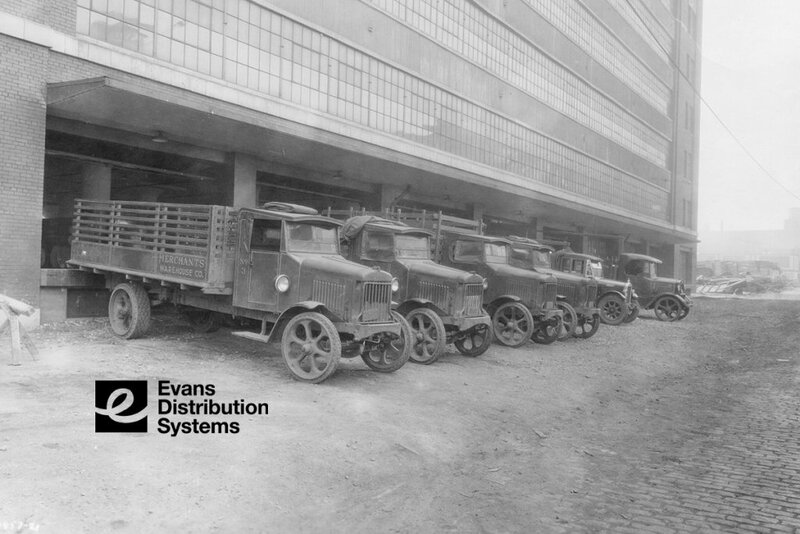 As of 2019, Evans Distribution Systems has been in business, providing logistics solutions for 90 years. That is a long history of innovation and adapting to the exponential growth of the industry. So, in commemoration of 90 years of business, we decided to highlight the big changes in the industry, technology, and the company over time. The history of logistics actually begins in ancient Greece and was used to transport military goods during wars. However, we are going to jump ahead a few centuries to when Evans was founded in 1929 by Wellington Evans. The company started off as Central Detroit Warehouse Company (CDW) and opened its first warehouse in the heart of downtown Detroit. Within the first year of business, the Ambassador Bridge that connects Michigan to Canada was opened. It was the largest suspension bridge ever built at the time and created enormous trade opportunities between the U.S. and Canada. In present time the Ambassador bridge is responsible for 25% of land trades between the U.S. and Canada. The completion of the bridge led CDW to establish its first transportation division, Merchants Forwarding Company in 1932. A regional truckload carrier which is still operating today. As the company grew over the years so did the technological advances for logistics. In 1932 the modern forklift was introduced for commercial use, making it easier and more efficient to move materials. Jump ahead a few decades and the next big technological advancement in logistics was the implementation of CB radios in 1962. This made communication with transportation carriers much more convenient to track shipments. With technology advancing, the capabilities of the company needed to as well. CDW outgrew their warehouse and moved to its current location in Melvindale, MI. This is where its valued-added packaging services began in 1976. The larger space allowed the company to continue to innovate by storing, packaging, and shipping products under one roof. Then in 1986 Evans Distribution Systems was officially established and became the parent company over all other divisions. With all the advances in technology and new services established, Evans had taken shape to be more of the company you see today. Innovation has always been the key to succeeding in business, and throughout Evans’ history the company has adapted to the changes. Whether it’s offering new services to customers or implementing new technology. As the industry goes forward, it’s only going to get more complex. However, Evans will continue to adapt and be innovative like it has been for the past 90 years.